Location: Mborogo Village, Timi Sub location, Keera Location Nyamira District, Nyamira County. It is with deep sorrow that we announce the sudden death of Mama Jemima Nyanchama Mankone on 14th, April, 2018. Wife of the late Peter Mankone Nyaombania, co-wife of the late Dina Bochaberi. Daughter of the late Nyangwara Oyagi and Clemensia Kwamboka. Step daughter of Kemunto Nyangwara. Mother of Mary Nyaboke, Charles Nyabuti, Andrew Mankone, Nashon Ongaga, Gladys Kerubo, David Nyagwara, Thomas Mogere, John Gekara and Nancy. 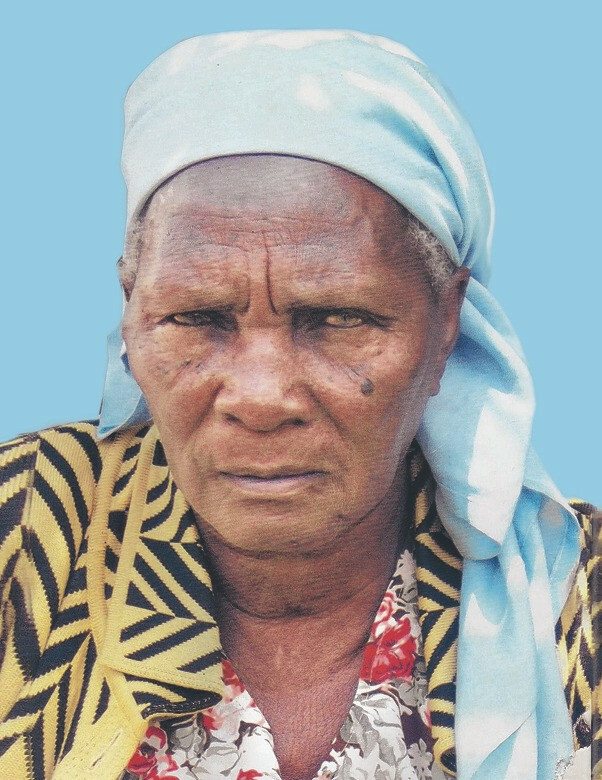 Sister-in-law of Moige, Nyanchama, Tabitha, the late Masese, the late Nyaboe, the late Ontumbi, the late Nyamaronge, the late Onchwari, the late Atunga, Johana, Kamati, Solome, Sibia, Jairus Achoki, Daniel Geseke, Abuga, Nyatigo, Drusilla. Sister of Ebisiba, Pastor Amisi, the late Nyanyuki, Mogotu, Michoki’s Mary’s, among others. Aunt of Joash, Jane, Isaac, Nyakerario, Maria, Arisa, Stella, Esther, James, Teresa, Kennedy, Osiri, Gideon, Betrice USA, William, Dr. Bosire UN, Orina Momanyi, Aboko, Nyanchama, Agnes, Samuel Nyatigo, Kemunto, Walter, Tom Moindi, Nyatuka, Momanyi, Charles Obare. Korera of Jeria, Towett, Kerosi, Kwamboka, Ombworo, Nyangau, Jimmy, Orina, Tabitha, Mother-in-law of Moraa, Modester, Alice, Jane, Eunice, Tabitha, Caro, Masita, Magutu, grandma of Jared, Sarah, Mary (Mukiri global Advocate), Kevin, Sammy, Dennis - JKUAT, Kimberly, Maria, Dan, Nancy Australia, Derick, George, Will, Diana, Bitutu, Elijah, Monyangi, Egesa, Wesley Isanda, great grandmother of Nyakiambori, Angera, Wesly and Mankone. Family, relatives and friends are meeting daily from 5.00 pm at Afya Centre, her home Mborogo, Kisii, Eldoret and Nyamira main fund raising will be held on Tuesday 24/4/2018 professional center starting 5.00pm.The body shall be removed from Nyamira Nursing home (Bwomboga) Mortuary on Thursday 26th burial be held on 27th April, 2018 at 2.00pm at Mborogo Village, Timi Sub location, Keera Location Nyamira District, Nyamira County. Mum, you have fought a good fight, you have finished the race and kept the faith.